It’s fairly common knowledge that you can learn the age of a tree by the number of rings found inside. But did you know that tree rings, Ponderosa pines specifically, have the ability to keep a record of weather patterns? Apparently, no one did until only recently and we’re totally geeking out about it! This revelation by two paleoclimatologists (try saying that three times fast!) from the University of North Carolina gives scientists a look at the history of weather patterns in the Pacific Northwest. It also has the potential to help predict future climate changes even beyond the local region. Here’s the scoop; the tree rings Ponderosa pines develop on the outer layer of bark indicate whether or not a winter was on the dryer or wetter side. Wet winters produce a growth spurt in the trees resulting in thicker rings. This knowledge is beneficial to help determine how moisture enters and then spreads across North America. During the winter months, storms arrive from the Pacific and crest at the Cascade Range across Oregon and Washington. According to the study, the direction of a storm’s path can determine how much precipitation falls in the region’s valleys and ridges. Storm tracking can determine the average direction of storm paths within a one-year period and relay important information about precipitation on the eastern side of the Cascade Range and beyond. 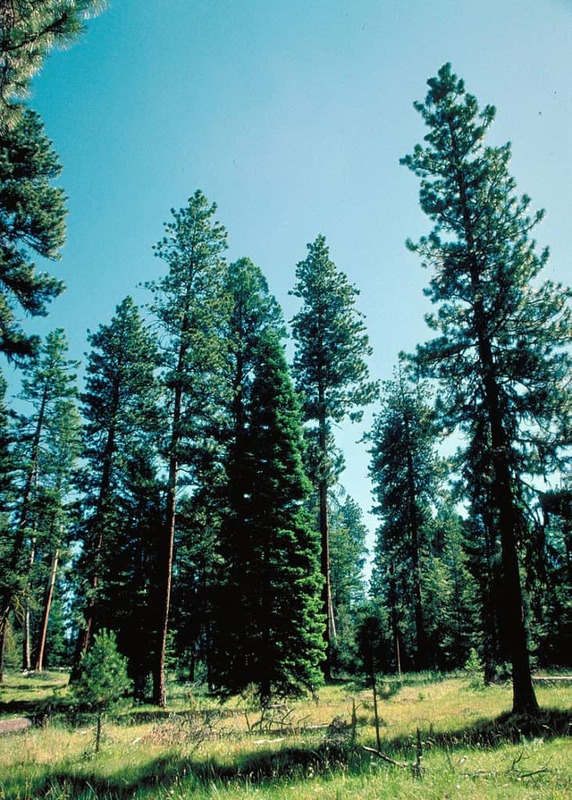 Ponderosa Pines grow in stands found in the valleys, ridges, and on the lee sides of the mountains; in our region, this is on the eastern side of the range. If a storm arrives from the west, moving east, there will be a larger rain shadow on the leeward side. The result is less rain. However, if a storm approaches at an angle, the rain shadow lessens and more moisture is delivered. And to think, all of this is documented by the tree rings Ponderosa pines develop. The scientists that examined the trees for this study suggest that long-term research will be needed to predict future weather events. They also see it as stepping forward in validating how the examination of tree rings contribute to scientific applications. Pretty cool, right? We think so. Yep. Well, no scientific study is needed to confirm that we love trees here at Arbor Pro. Whether for the betterment of the local ecology, to enhance your landscape or property, or for the geeky exploration of scientific theories such as how the tree rings Ponderosa pines grow may predict changes to our regional climate, our team of arborists can’t get enough. In turn, we love to share our knowledge and expertise with the members of our community. If you have tree-related questions, need maintenance such as pruning or help with a hazard tree evaluation, give us a call today! We offer free estimates for our services in Lake Oswego and the surrounding greater metro area.